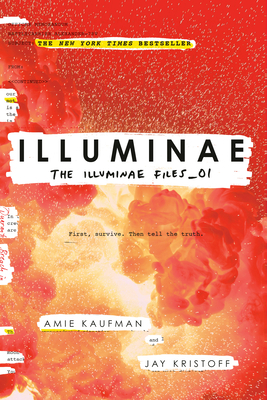 Told through a series of redacted documents, interviews, IMs, schematics, military reports, and surveillance reports, Illuminae starts with a bang (literally) and never slows down. The Illuminae Files_03 -- title to be revealed! New York Times bestselling co-authors Amie Kaufman and Jay Kristoff met thanks to international taxation law and were shocked to discover they share a love of blowing things up and breaking hearts. Their first collaboration resulted in the international bestseller Illuminae. Separately, Amie is also the co-author of the bestselling Starbound trilogy, while Jay is the award-winning author of the Lotus War trilogy. They live with their respective spouses in Melbourne, Australia. You can learn more about Amie and Jay at amiekaufman.com and jaykristoff.com, and follow them on Twitter at @AmieKaufman and @MisterKristoff.